There are a ton of different options when looking for the right set of headphones. With so many different choices, many individuals can become easily confused regarding the meaning of some of the technical audio terms. Two terms you may hear regarding headphones are “noise cancelling” and “sound isolating.” These two terms may sound like they are describing the same thing, and while in fact they are very similar, there are subtle differences that become very important as the listener becomes more sophisticated with technology, and especially with the subtleties of audio. The most obvious difference between noise cancelling and sound isolating, also called noise isolating, headphones, is going to be in the process that they both use to achieve their goal. 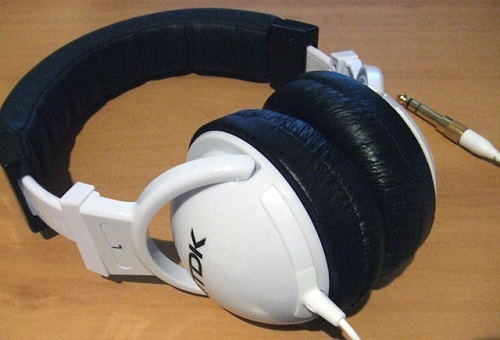 And while both aim to reduce ambient environmental noise for the listener so that they may better hear the content coming through the headphones, their technique is different. With noise cancelling technology, this is an active process, whereas with noise isolating, it is a passive process. Since the active process of noise cancelling is a much more technologically complex process than noise isolation, it is no surprise that there are more components necessary to make it work. And usually this additional equipment tends to cost more, and result in a product that is larger and heavier than noise isolating headphones. In order to actually measure the ambient noise, these headphones must be equipped with a microphone, amplifier, and speaker to pick up, amplify, and play the negative waveform back through the headphone. [iii] Noise isolation technology depends upon its ability to soundproof, or essentially, block out the ambient noises. This is accomplished when the headphone doubles as an earplug. Because of this, there are no additional components necessary in order to make these headphones work and their ability to function well largely depends upon how well they fit the user’s ear. Due to the fact that noise cancellation came about as a way to minimize ambient noise during travel, it is no surprise that these headsets function best in environments with constant, low-frequency noise. They are much less effective when used with other types of noise or when the noises constantly change. [vii] The mid-range frequencies are much less affected by noise cancellation and the higher range frequency even less so. For this reason, most sound cancelling headphones also rely on noise isolation in order to minimize the other sounds. [viii] True sound isolating headphones block all sound frequencies. Due to the extra electronic components required by the noise cancelling headphones, they also require some sort of power source, typically a battery that either needs to be replaced or recharged regularly. Sometimes the power may also be delivered using a USB port. Unfortunately, some noise cancelling headphones will not function at all, not even as regular headphones, when there is no power. [ix] With noise isolating headphones, there is no power needed. The noise reduction relies on soundproofing that comes from foam molded to fit the outer ear canal. This means that they can be used anywhere and at any time without a need for batteries or any other power source. Rikki Roehrich. "Difference Between Noise Cancelling and Sound Isolating Headphones." DifferenceBetween.net. April 2, 2019 < http://www.differencebetween.net/technology/difference-between-noise-cancelling-and-sound-isolating-headphones/ >.